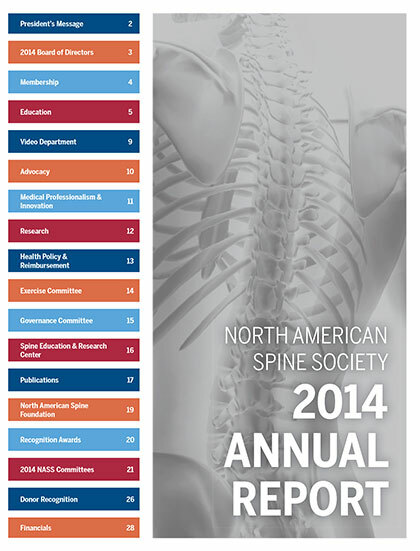 The annual report provides an overview of the work NASS volunteers and staff did this year to advance its mission of fostering the highest quality, evidenced‐based and ethical spine care by promoting education, research and advocacy. Within its pages are highlights on NASS membership, advocacy, publications, research, ethics, education, health policy and financials. The generous contributions of hundreds of volunteers and donors are acknowledged, as well. When your order is complete, you will receive an email confirmation with a link to the download manager. The annual report will be available immediately and must be downloaded within 24 hours.